Although they’re machine-made, Entourage cigars flaunt a solid construction that’s comparable in quality to that of a hand-made smoke. Crafted with natural tobacco leaves, these cigars produce a long-lasting smoke that satisfies you fully. They are distributed by National Honey Almond, known for producing a variety of brands such as D’Ville, Butterfly and The Good and Ugly. Entourage cigars are packed with natural tobaccos fillers that impart a great taste to the smoke. Each cigar is rolled in a Homogenized Tobacco Leaf (HTL) wrapper that lends its own unique flavor to the mix. These cigars come in an array of flavors including Natural, Vanilla, Pink Vanilla, and Wine. The Entourage Natural Vanilla offers a flavorful smoke endowed with the sweet richness of vanilla. This cigar is perfect for those who have a sweet tooth. If you want a truly intoxicating experience, then the Entourage Wine will fulfill your desires like no other. Each cigar in the Entourage line is made from specially chosen tobaccos that are designed to provide a savory, satisfying experience. 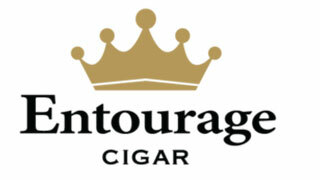 Entourage cigars are available in cartons containing 25 cigars each. You can also buy Master Cases that contain a total of 40 cigars each. The cigars are individually stored in sturdy pouches that have thick, plastic sheaths. The cigars are well-constructed and provide a smooth draw and a steady burn. Pair these mild cigars with a cup of steaming coffee, which has toasty flavor notes that complement the sweet-tasting smoke.